Juices serve two purposes at one go – refreshment and nutrition too! 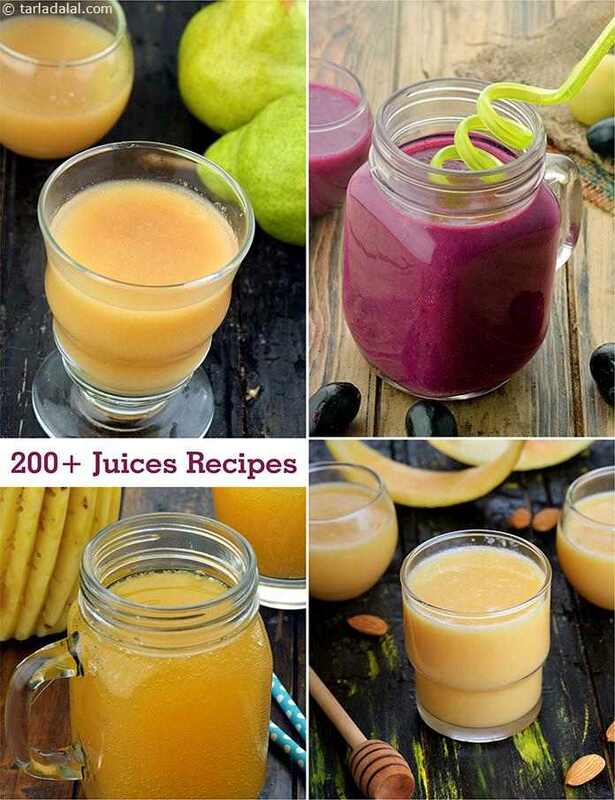 Although it is best to have whole fruits, juices come in handy for an extra dose of nutrition or when you do not have time to munch on a bowlful of fruits. Toss a medley of tasty stuff into the blender and in minutes you have a rejuvenating and mouth-watering drink that you can have immediately or on-the-go. Lose yourself in the flavour-packed magic of drinks like the Fruit Punch , Fruity Mango Juice , Nimbu Pani , etc.